Arlington Economic Development announced today that Richmond-based EdConnective has been chosen as the winner in this year’s Startup Arlington competition. EdConnective was chosen from a total of 64 applicants. EdConnective’s mission is to help ensure a highly effective teacher is in every classroom by providing virtual coaching and customized feedback for teachers. Since its founding in 2015, EdConnective has worked in more than 30 schools throughout Virginia and surrounding states and has delivered more than 1,400 coaching sections via 70 world-class coaches. 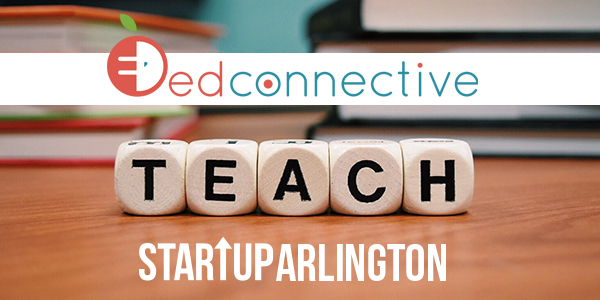 As the Startup Arlington winner, EdConnective will receive exclusive mentoring from UVA Darden School of Business and Mid-Atlantic Venture Association. The company will also receive four months of lodging at the Residence Inn Rosslyn as well as incubator space at the Rosslyn co-working offices of Spaces. EdConnective will also be able to take advantage of concierge and orientation services from Chasing Dragons, transportation passes via Arlington Transportation Partners, a variety of neighborhood amenities from the Rosslyn Business Improvement District and more. Startup Arlington applicants were evaluated on criteria ranging from how the company would benefit from locating in Arlington to growth potential and business plans. To be eligible, applicants must have been from outside the greater Capital region and have been a founder and/or CEO of a technology-based company. EdConnective plans to start its Arlington operations in January 2019.